Emily Malbone Morgan, with the support of Harriet Hastings, was the founder of the Society of the Companions of the Holy Cross (SCHC), in 1884. Begun as an order of Episcopal laywomen rooted in disciplined devotion, SCHC became a strong force for social justice reform during the social gospel era around the turn of the twentieth century. Morgan was born on December 10, 1862, in Hartford, Connecticut. Her family were prominent Hartford citizens and her Anglican roots ran deep on both sides of her family. She never married. A primary inspiration for Morgan was her friendship with Adelyn Howard. Howard was homebound and because of her confinement sought Morgan’s support for both spiritual companionship and as a means by which she could offer intercessory prayer for others. Meeting her friend’s need, Morgan called together a small group of women for prayer and companionship. From that beginning, the Society of the Companions of the Holy Cross came into being. Morgan had a particular concern for working women who were tired and restless and who had little hope for a vacation. In response, Morgan, with the help of a growing number of her Companions, developed summer vacation houses across the northeast where working women and their daughters could have some time away for physical and spiritual renewal and refreshment. In 1901, the Society established a permanent home in Byfield, Massachusetts. With the construction of new facilities on the site in 1915, it took the name Adelynrood, which continues to exist as the headquarters and retreat center of the Society. At present, SCHC has thirty-one chapters with more than seven hundred Companions, lay and ordained women, serving in six countries. Emily Malbone Morgan, together with her sisters in the Society of the Companions of the Holy Cross, lived a life of prayer and contemplation, rooted in the tradition, which led to powerful personal and communal commitments to social justice particularly for women. I Gracious God, we offer thanks for the life and witness of Emily Malbone Morgan, who helped to establish the Society of the Companions of the Holy Cross so that women living in the world might devote themselves to intercessory prayer, social justice, Christian unity and simplicity of life. Help us to follow her example in prayer, simplicity, ecumenism and witness to thy justice, for the glory of thy Name; through Jesus Christ, who with thee and the Holy Spirit liveth and reigneth, one God, for ever and ever. Amen. II Gracious God, we thank you for the life and witness of Emily Malbone Morgan, who helped to establish the Society of the Companions of the Holy Cross so that women who live in the world might devote themselves to intercessory prayer, social justice, Christian unity and simplicity of life. Help us to follow her example in prayer, simplicity, ecumenism and witness to your justice, for the glory of your Name; through Jesus Christ, who with you and the Holy Spirit lives and reigns, one God, for ever and ever. Amen. Dare I ask the obvious? Nah — let someone else. Readings. Hebrew Scripture reading: This seems to be a reading carefully selected to ‘fit’ the commemoration. New Testament reading: This is just ‘greetings’ to various people. Does this make any sense for this commemoration? This set of readings is, IMHO, a weak collection. Bio. 4th paragraph, last sentence: This sentence is 38 words long. Phew. The last six words ‘ … for physical and spiritual renewal and refreshment.’ at first made me think that there were too many ‘ands’ in the sentence. But perhaps there are not. It is at the very least awkward. Last paragraph: This is one 42 word sentence. How about making it two sentences to allow the reader to catch a breath? Like too many other Collects in HWHM, this is a bio masquerading as prayer. To paraphrase Jesus, “Let your bio be bio; let your prayer be prayer!” Do not use the Collect as a mini-bio. Trust that responsible liturgists will read or otherwise make available the bio to worshippers. This Collect has the additional problems that the rhythm of the end of the first sentence is poor and that second sentence is an only slightly varied repetition of the first. Below is a first stab at a re-write. Gracious God, we thank you for the life and witness of Emily Malbone Morgan, who gathered women to devote themselves to intercession, social justice, Christian unity and simple lives. Make us, with her, companions in prayer and in faithful living, dedicated to the Holy Cross of our Savior, Jesus Christ, who with you and the Holy Spirit lives and reigns, one God, for ever and ever. Amen. This is not a very successful commemoration. The individuals and the organization in it are worthy enough, but the commemoration itself is nowhere near ready for “prime time.” Rather than rehabilitate its various parts, I register my opinion that it doesn’t measure up. I do not really know if this commenoration is “not ready for prime time” or if the “flatness” of the proposed commemoration reflects the lack of information about the spiritual importance of Miss Morgan and the Companions of the Holy Cross. Providing organized spiritual support for a friend and recreational and spiritual development for working women are certainly worthy causes. But what is so special or unique or disturbing that these should be commemorated here? Does this reflect a lack of scholarship? Is it simply poor writiing so that the great movement of the Holy Spirit is lost in pedestrian prose? As a woman, I am very aware of the scarcity of women who are commemorated in HWHM, though the number of woman is much improved from the 1979 BCP, and certainly from the few “red letter” saints in the 1928 BCP. So I would rather not see a woman and her works removed from commenoration if the deficiencies reported are simply the result of the biographer and the author of the collects (which I assume are different persons). Members of the Society of the Companions of the Holy Cross were in the first parish I served as a young priest ~30 years ago. They were faithful and deep women of prayer who contributed richly to the parish’s ministry. If they were typical of the fruit of Emily Morgan’s work close to a hunder years on (and I suspect they were), this Commemoration is worthy of the labor needed to make it a fitting celebration of her gift to the church. Again, the “headline writer” is at work. The first paragraph should follow the present second paragraph. “Prophetic witness” seems an entirely problematic job description. “Lay order founder” or the like would be perhaps more awkward but less over the top and more accurate. I agree with you, “Foundress” might be a better term for Morgan’s contribution. While her work with vacation homes has been taken up in new forms, her reflections on the balance between thanksgiving and intercession, between prayer and service, and on living together in community remain lively and pertinent for us now as members of the Society of the Companions of the Holy Cross. We write on behalf of the Society of the Companion of the Holy Cross regarding the February 26 commemoration for trial use of Emily Malbone Morgan. As members of the Society she founded, we are, of course, delighted that you proposed her for inclusion in the calendar and that General Convention confirmed your choice. As students of Emily’s writings and thought, may we propose some refinements to her collects and changes to her lections? Here are the collects approved at General Convention, with our proposed changes. living in the world might devote themselves to intercessory prayer, thanksgiving, social justice, Christian unity and simplicity of life. Help us to follow her example in prayer, simplicity, ecumenism and witness to thy justice, for the glory of thy Name; through Jesus Christ, who with thee and the Holy Spirit livest and reignest, one God, for ever and ever. Amen. established the Society of the Companions of the Holy Cross so that women who live in the world might devote themselves to intercessory prayer, thanksgiving, social justice, Christian unity and simplicity of life. Help us to follow her example in prayer, simplicity, ecumenism and witness to your justice, for the glory of your Name; through Jesus Christ, who with you and the Holy Spirit lives and reigns, one God, for ever and ever. Amen. 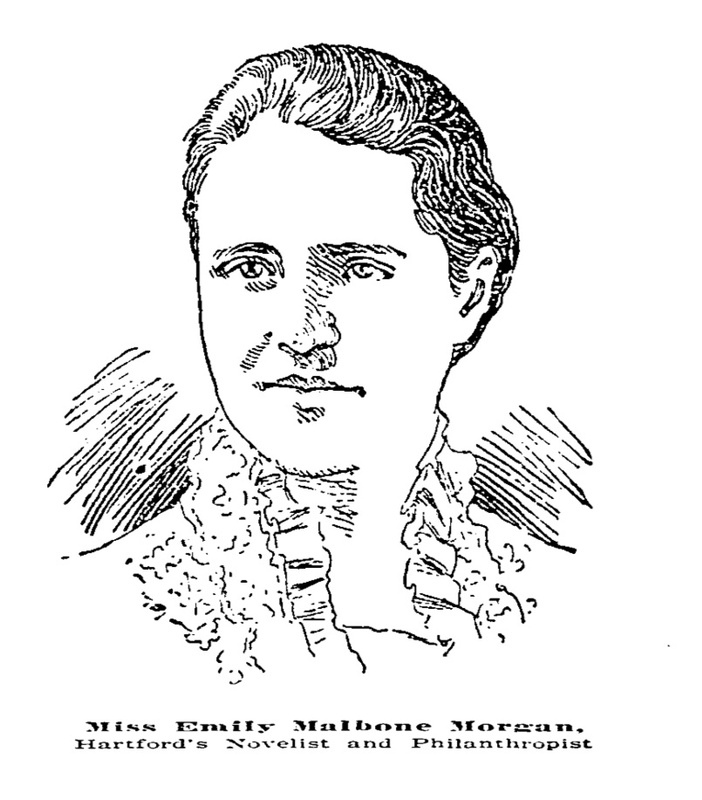 Emily Morgan provided the initiative and vision to found the Society and led it for many years. The aims of the SCHC are intercessory prayer, thanksgiving, and simplicity of life. Companions are to pray and work for social justice, the unity of all God’s people, and the mission of God in the world. We appreciate your thoughtfulness in proposing the lections for this commemoration. The Old Testament lesson, Exodus 1:15-21, concerning the Jewish midwives in Egypt, is quite apt. Emily acted as a midwife, had great vigor, and did not hesitate to stand up to Pharaoh. Psalm 84 Emily Morgan established vacation homes for women who worked in factories as well as Adelynrood, the house of the SCHC. This Psalm has also been used for many years in the liturgy when Companions make their vows. I Thessalonians 5:16-25 This passage focuses on prayer and thanksgiving, which she considered central. Emily established intercessory prayer and thanksgiving, along with simplicity of life, as the aims of the SCHC. Matthew 5:13-16 Emily acted as the salt of the earth in her work with those in need. Her good works shone as a light that glorified God. She founded a dispersed community whose members are to provide light and salt wherever they live. With the recent publication of Holy Women, Holy Men, we have noticed some inaccuracies that we hope will be updated in the next edition. These concern the Aims of the Society, the women who were the focus of her early work, and the size of the organization. Perhaps most important, Emily emphasized the need for a balance of prayer and action. Our suggested fine tuning of the biographical sketch is below. Thank you for your consideration of these matters as we honor this remarkable woman. We realize that any changes will delay the final approval of her inclusion in the calendar by three years, but we believe that these changes would reflect more accurately Emily’s ideals. Emily Malbone Morgan, with the support of Harriet Hastings, was the founder of the Society of the Companions of the Holy Cross (SCHC) in 1884. Begun as an order of Episcopal laywomen rooted in thanksgiving, intercession, and simplicity of life, SCHC became a strong force for social justice reform during the social gospel era around the turn of the twentieth century. Morgan had a particular concern for women working in the mills who were oppressed and exhausted and who had little hope for a vacation. In response, Morgan, with the help of a growing number of her Companions, developed summer vacation houses across the northeast where working women and their daughters could have some time away for physical and spiritual renewal and refreshment. In 1901, the Society established a permanent home, Adelynrood, in Byfield, Massachusetts. The facilities built in 1915 continue today as the headquarters and retreat center of the Society. At present, SCHC has thirty-five chapters with about nine hundred Companions, lay and ordained women in six countries. Emily Malbone Morgan, together with her sisters in the Society of the Companions of the Holy Cross, lived a life of prayer and action, rooted in the tradition, which led to powerful personal and communal commitments to social justice particularly for women. As a Companion of the Society of the Companions of the Holy Cross, I have found the life & service of Emily M. Morgan to be a guide for my spiritual life. As a resident of West Virginia, active in my home parish & in the SCHC, Ms Emily as I fondly call her has for the past 12 years through her letters & the rules of the SCHC assisted me to develop a stronger relationship with God & to discern what my path of service may be. I strongly support the comments of Susan Butler & urge the Commission to make the suggested changes. spirituality and commitment to social justice of our foundress, Emily Morgan. Her life and her book of “Letters to Her Companions” continue to inspire and guide us to this day.